Christmas Stockings were hung by the chimney with care! Saint Nicholas was passing through when he heard the villagers talking about the girls. St. Nicholas wanted to help, but knew that the old man wouldn’t accept charity. He decided to help in secret. He waited until it was night and crept through the chimney. This led to the custom of children hanging stockings or putting out shoes, eagerly awaiting gifts from Saint Nicholas. Sometimes the story is told with gold balls instead of bags of gold. 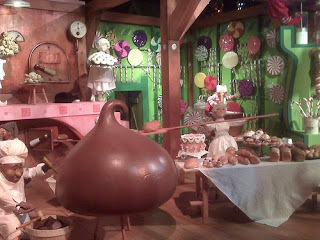 That is why three gold balls, sometimes represented as oranges, are one of the symbols for St. Nicholas. And so, St. Nicholas is a gift-giver. We always had an orange in our stocking but until now I never knew why! A tradition that began in a European country originally, children simply used one of their everyday socks, but eventually special Christmas stockings were created for this purpose. 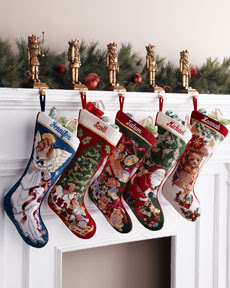 The Christmas stocking custom is derived from Germanic/Scandinavian tradition. Today, stores carry a large variety of styles and sizes of Christmas stockings, and Christmas stockings are also a popular homemade craft. A ‘Square Stocking is a box sent by the charity Uk4u-Thanks! to UK servicemen who are overseas or injured at Christmas. I think that is a wonderful idea. When I was first married I found some antique lace at a store and made our family’s stockings out of green velvet and using the lace as the top cuff. Certainly not as fancy as needlepoint trimmed in fur like we see today but now a family heirloom that our children love!! I’m excited to share with you that I will be doing a monthly, original recipe from Chef Ben Ackland who is the Executive Chef at La Fiorentina on Cole Avenue in Dallas. Ben comes to Dallas by way of London, UK and Toronto, Ontario and brings his exciting culinary techniques to the Dallas area. If you are wondering where to go to try some fabulous food in the area head to Knox-Henderson area and enjoy dinner at La Fiorentina!! The menu has just been changed and the pasta and the pork chop Chef Ben is describing in the piece below is amazing. Didn’t think Design was Important? 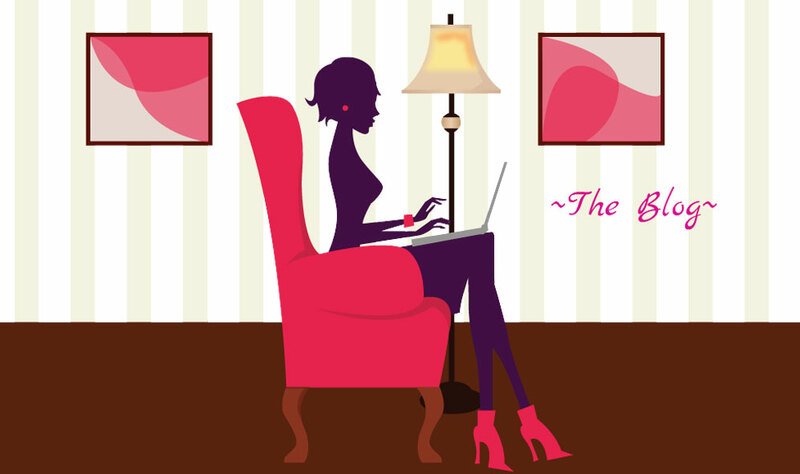 Read This! The end is near for a white can that has many Coke drinkers seeing red. Coca-Cola Co. is switching back to its time-honored red just one month after rolling out its flagship cola in a snow-white can for the holidays. New seasonal cans in red will start shipping by next week, as white cans—initially expected to be in stores through February—make an exit. While the company has frequently rung in the holiday with special can designs, this was the first time it put regular Coke in a white can. Some consumers complained that it looked confusingly similar to Diet Coke’s silver cans. Others felt that regular Coke tasted different in the white cans. Still others argued that messing with red bordered on sacrilege. James Ali, who owns Wall Street Deli in an Atlanta food court, said about half a dozen customers have returned opened white cans in recent days after realizing, too late, that they weren’t drinking Diet Coke. He lets them take unopened diet cans without charging them again. Coke regularly tweaks its packaging to create buzz and has a long tradition of holiday marketing, and says it helped shape the image of Santa Claus in his red suit with its 1930s advertising. Other Christmases past have featured snowflakes and polar bears, which appear on this season’s cans. Coke says this year’s campaign is part of a partnership with the World Wildlife Fund to highlight global warming’s threat to bears’ Arctic habitat. Coke is contributing up to $3 million to conservation efforts. “The white can resonated with us because it was bold, attention-grabbing” and “reinforced” the campaign theme, says Scott Williamson, a spokesman for the beverage company. Coke’s marketing executives wanted a “disruptive” campaign to get consumers’ attention, he says. The can-color debate pales next to the uproar of 1985, when Coke replaced its flagship cola with New Coke by changing the recipe, only to re-launch “classic” Coke a few weeks later amid a consumer revolt. Atlanta-based Coke says that it’s happy with the campaign and that critics of the white can represent a minority. “The can has been well received and generated a lot of interest and excitement,” says Mr. Williamson. 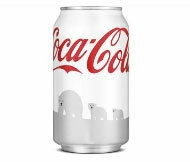 Coke says it will distribute more than one billion white cans and roughly the same number of seasonal red cans, which also include polar-bear images. The special red version is “a way to maintain the excitement” until the campaign ends in February, added Mr. Williamson. But the company initially said it would distribute more than 1.4 billion white cans in a press release that did not mention the red cans. The company now says red cans will be in the majority by Christmas and that there likely won’t be any white cans on store shelves by the time February rolls around. A spokesman said a red holiday version was always part of its plans but wouldn’t comment on whether the timing had changed. Another person accused Coke of “trickery,” and still another called the white cans “blasphemy,” among hundreds of tweets. Some Coke fans emailed the company’s official blog to complain about the company wading into the issue of climate change. It isn’t clear exactly how big the consumer reaction to the white cans was. One couple posted a video on YouTube in which the wife claims to be able to recognize whether Coke is in a white or red can during a blindfolded taste test. “This is the funky one!” the wife shouts after drinking out of a white can. Coke says it hasn’t tweaked the taste of its cola and that protecting polar bears is a worthwhile initiative. It recently added a “fact sheet” on its website highlighting how white Coke cans are distinct from silver Diet Coke cans. Among the differences: Regular Coke is labeled “Coca-Cola” and states the calories at the front of the can, while Diet Coke‘s holiday can—silver as always—is labeled “Diet Coke” and features snowflakes. And there you go…just when we take all the design for granted around us a shock like this happens!!! Right after the Macy’s Day Parade when I was a child was when the Christmas Season began. 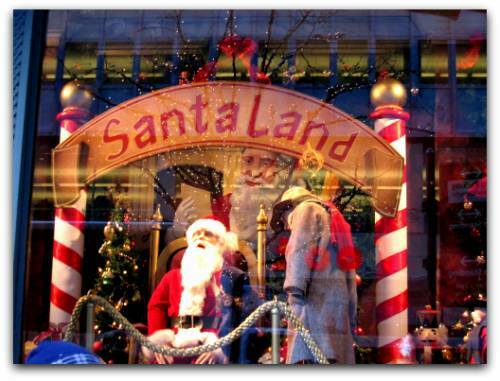 That is when Santa and his Toyland would open at the big department stores. One of the rituals along with visiting Santa was to look at all the windows done up for the season. They would be animated and much detail was put into them as they still are today. They big stores are already planning next years windows. 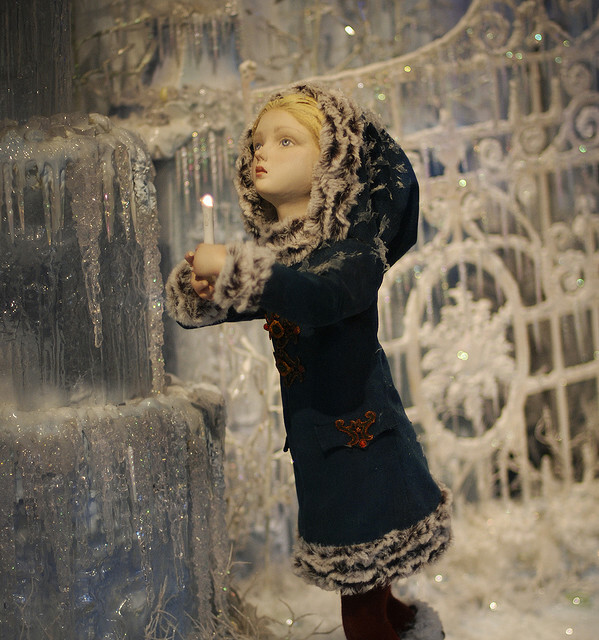 Here are a few from Macy’s NYC, Harrods and Fortnum and Mason in London, UK.